Hmm, MAMI opening a shaved ice stand, I would buy! I look forward to seeing the variety of color that will make up the signature "Mami Sno-Cone." That is a brain-freeze session I would gladly take on every single day! 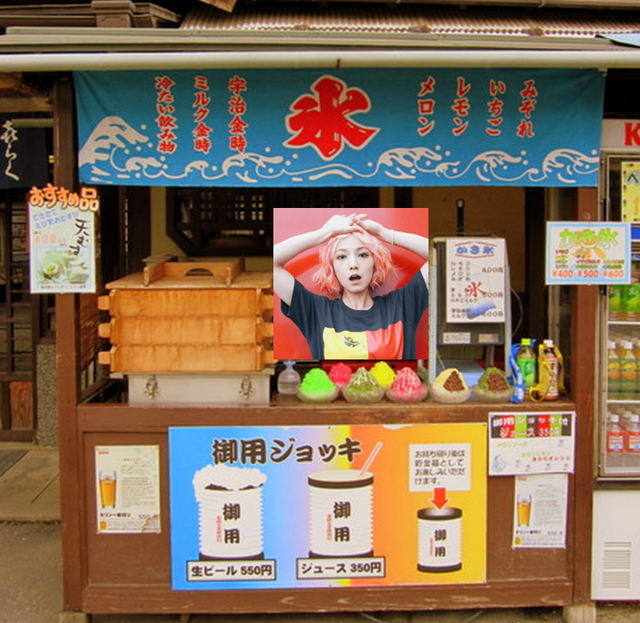 If she ever did open up a shaved ice shop, I'd definitely go visit. I haven't had shaved ice in forever, and now I'm craving some. 10/10 photo editing skills, btw.